When you start a family, one of the first things you need is a home. But sometimes, that can feel out of reach because of how expensive homes have become nowadays. Thankfully, there’s a more affordable option available to you as an alternative to dealing with expensive home builders, weather delays, waiting for city officials to provide certificates and many other unnecessary issues when building your home. With Modular Homes Austin, you can get a beautiful modular home without breaking the bank. We have over 60 years of experience in the modular home industry, which means we’ve honed our skills throughout the years to create a streamlined and painless experience. If you would like to take a tour of one of our high-quality modular homes, please call us at (512) 385-9701 to schedule an appointment. If you own your own plot of land, modular homes is an excellent choice when it comes to putting a roof over your family’s heads. We have floor plans of 2 to 5 bedrooms, starting at 859 square feet of space. How the home is built is entirely up to you — you choose how many bedrooms and bathrooms are built, as well as what type of countertops, molding, flooring, and cabinets are put in. Not only is a modular home budget-friendly, but it can also be completely customized to your personal tastes. We’re experienced at helping you build the perfect modular home for you and your family and Modular Homes Austin is also well-versed in helping you find the proper financing for your new home. Throughout these past six decades, we’ve worked with numerous lenders who understand the needs of financing a modular home. Previous clients have used many of the lenders and they have brilliant reputations. Modular Homes Austin can help you understand the process of financing for a modular home. Working together, you’ll be one step closer to purchasing your dream home. If you’ve decided that a modular home is perfect for you and your family, and you’d like to take a look at some examples before you commit to such a significant decision, please fill out the form below to schedule a free modular homes tour. Once we’ve received and processed your form, we’ll get in touch with you as soon as possible to schedule a tour. 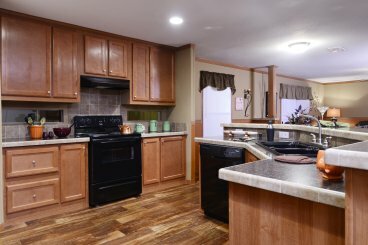 Our veteran staff will be more than happy to show you what our spectacular modular homes have to offer. We can’t wait to help you start on building a new life with your loved ones.